Yet another bombshell that wasn’t. And Fusion was paid by the Russians and the Democrats, not exactly a good recommendation for honesty. 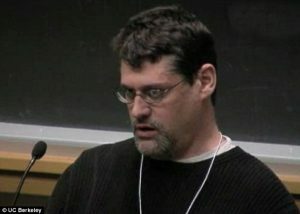 A Fusion GPS lawyer’s stunning claim that a Russian source for the salacious Steele dossier has been murdered was based on widespread media speculation, according to a source close to the opposition research firm. It was revealed on Tuesday that Joshua Levy, a lawyer for Fusion GPS, told Senate Judiciary Committee investigators last August that a dossier source has been killed. Levy made that claim in order to block his client, Glenn Simpson, from having to answer questions about dossier sources. “It’s a voluntary interview, and in addition to that he wants to be very careful to protect his sources. Somebody’s already been killed as a result of the publication of this dossier and no harm should come to anybody related to this honest work,” Levy told a Senate Judiciary Committee investigator, according to a transcript of Simpson’s testimony released by California Sen. Dianne Feinstein on Tuesday.